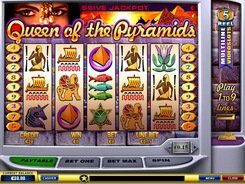 Queen of Pyramids is an engaging five-reel nine-line slot game for low-stake enthusiasts, yet with impressive winning opportunities. 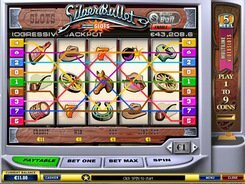 The maximum bet per spin is as low as $2.25. In addition, you have a chance of hitting a progressive jackpot. 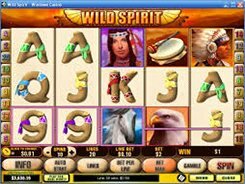 To grab the grand prize you need to bet nine highest-value coins and line up five Pharaoh symbols (wild symbols) on any enabled payline. 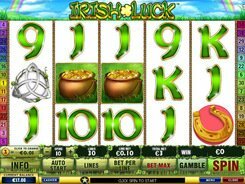 Hit three Scorpions scattered anywhere and receive a free spins round at the same total bet you have placed in the main round. 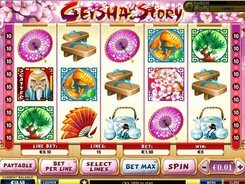 Free spins can be retriggered if another three or more Scorpions during the free games, but this time your winnings will be multiplied by x5 your bet. 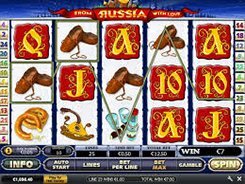 After the end of your free spins round the accumulated winnings will be automatically added in your balance. PLAY FOR REAL MONEY!